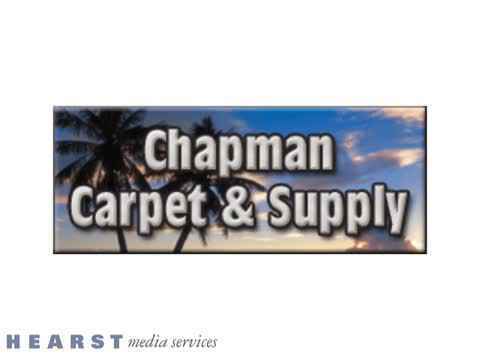 Chapman Carpet Supply are carpet dealers and tile dealers that have been in business in Melbourne, FL for over 34 years. We are a four generation family owner/operated business. Customer service and satisfaction is #1 in our business. Chapman Carpet Supply offers all types of flooring from cheap carpet, tile to vinyl. We also provide a variety of products, services and installation such as laminate and hardwood flooring, outdoor carpeting, padding, repairs and binding of area rugs. We are laminate flooring professionals! Our carpet dealers believe in the golden rule here at Chapman Carpet Supply. We offer all aspects of flooring and can custom make any size area rug. We also service Fifth Wheel and Air Stream Travel Trailers. Chapman Carpet specializes in residential and mainstream commercial. We can help you design your perfect room decor from start to finish. We are tile dealers that know how our products work. Installing tile flooring is a good idea for a bathroom or kitchen floor because it is scratch resistant. We help you in every step of the way with your new floor and if you are not sure what it is you want to do, we will help you pick out the right type of flooring for your household needs from on-site measurement, removal of old flooring, and skilled installation that includes moving your furniture. We do it all expertly, so your floor will look amazing and give lasting satisfaction. At Chapman Carpet Supply, our tile dealers are always ready to assist in your selection and answer any questions. You'll find a variety of tile and stone options that are suited for all your home flooring needs. We can assist in explaining the variety of products available to you and help to create a design that is uniquely yours. Remember to bring any materials that relate to what you are looking for and our tile dealers will help you find just that in the Palm Bay, FL area! Chapman Carpet Supply can offer you a wide array of laminate flooring. We offer Mohawk, Columbia, Mannington, Tarkett and SFI laminates. You can have realistic looking wood floors without the cost, and without the fear of scratching and denting. We also offer laminate that looks like ceramic tile. Laminates are easier on the legs and feet and easy to maintain. If you're looking for an affordable carpet, Chapman Carpet has a large selection of quality carpeting. Do you want a short rug, area rug, or custom sized rug? How about a designer shag rug that's comfortable to lay down on? We can find you a cheap carpet that works wonderfully in your living room. When it comes to any type of flooring, even laminate flooring, Chapman Carpet Supply is ready to assist your needs. We are the carpet dealers that will help you find exactly what you want in your dining room or bed room. Stop in today and find out more information. Proudly serving Melbourne, FL and Palm Bay, FL. Some of the products and services that are available include carpet, vinyl, tile, vinyl tile, ceramic, laminate, wood, outdoor carpet, padding, installation supplies, padding, rughold installation, repairs, binding. Mohawk, Shaw, Bealieu, Tarkett, Mannington, Nafco, Karndean, Wellmade, Columbia, Anderson, SFI, WECork, Triangulo, Southwind, Value Carpet, Artistic, Starloc.